ActivCare at Bressi Ranch is Coming Soon! Construction is well underway for the newest ActivCare community, ActivCare at Bressi Ranch. Located in charming Carlsbad, this specialized senior living community will serve the changing needs of those with memory loss. A new Community Information Center is open at 6255 Nygaard Street across the street from a pristine park in Bressi Ranch. Hours are Wednesday through Saturday 9 am to 5 pm. Call (760) 603-9999 for more information. 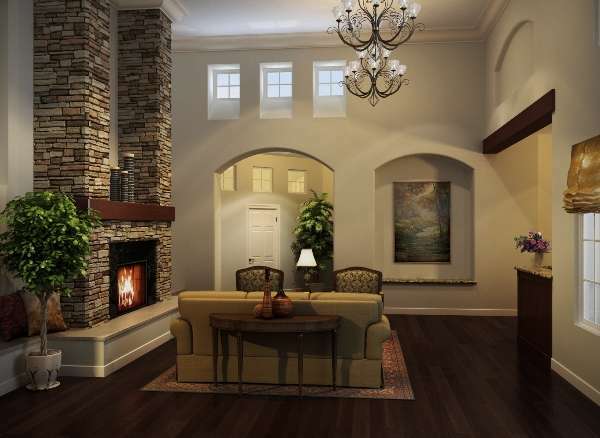 The inviting lobby of ActivCare at Bressi Ranch welcomes families and guests.